In Light of Spicer's Resignation, How Can Workers Quit Gracefully | Challenger, Gray & Christmas, Inc.
Last week, Sean Spicer suddenly resigned from his position as White House Press Secretary. According to The New York Times, this resignation was prompted by Anthony Scaramucci’s hiring as Communications Director. 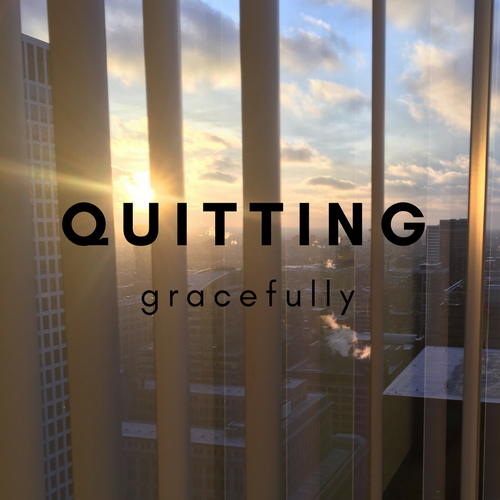 While most Americans will never have to navigate quitting a job under the scrutiny of the public eye like Spicer, learning when and how to quit professionally and gracefully is important for all employees, according to one workplace authority. “The decision to quit your job can be incredibly difficult and personal. Oftentimes, numerous factors are at play. However, there’s a right way to leave your previous position that allows you to maintain your professional network and the reputation you built at your firm,” said Andrew Challenger, Vice President of global outplacement and executive coaching firm Challenger, Gray & Christmas, Inc. The first step is deciding when it is time to leave. For people who regularly reflect on their future and where they would like to see growth, whether or not it is time to make a change is fairly obvious. But for those who haven’t invested as much time in reflection, there are specific warning signs that can signal to both the employee and the employer that it is time for a new position. “It’s more than just dreading going into work every day, although that’s typically the first sign. If this starts happening, it is time to investigate why you feel that way,” said Challenger. Employees who dread work may feel undervalued or underappreciated, dislike the type of work they are doing, do not get along with a manager or co-worker, or feel they are not contributing to either the organization or society at large. Employees should determine if they have opportunities for advancement, and if the company will remain successful in the future. By looking at leaving from both an economic and a personal perspective, employees are able to get a better picture of what they should do. Once it is clear that quitting is the best option, the next step is to quit in a way that is professional and graceful. No matter how horrible a job situation may seem, it is best to quit in a respectful way to maintain potential networking connections. Burning bridges, issuing threats, or leaving in any disrespectful way is never a good option. While Challenger advises having another offer before quitting a job, inevitably, some circumstances make quitting your job immediately necessary. However, leaving respectfully will not only keep an employer happy, but is also best for the employee. “Courtesy dictates that you give your employer notice, send regards to mentors or co-workers with whom you shared a good working relationship, and maintain those connections after you leave. If you haven’t landed another position when you quit your former job, this course of action will help you as you search for new jobs and start interviewing,” said Challenger. Resignation confrontations are unavoidable and are part of moving forward in the professional world, but employers can help to lessen the discomfort. One technique is to meet with employees more frequently to find problems early and work on remediation so that all parties are happy. “Tracking employee morale and reasons for leaving is key for future retention and recruitment, and companies that have a handle on why workers are quitting will likely cultivate a corporate culture desirable to future and existing talent,” said Challenger.